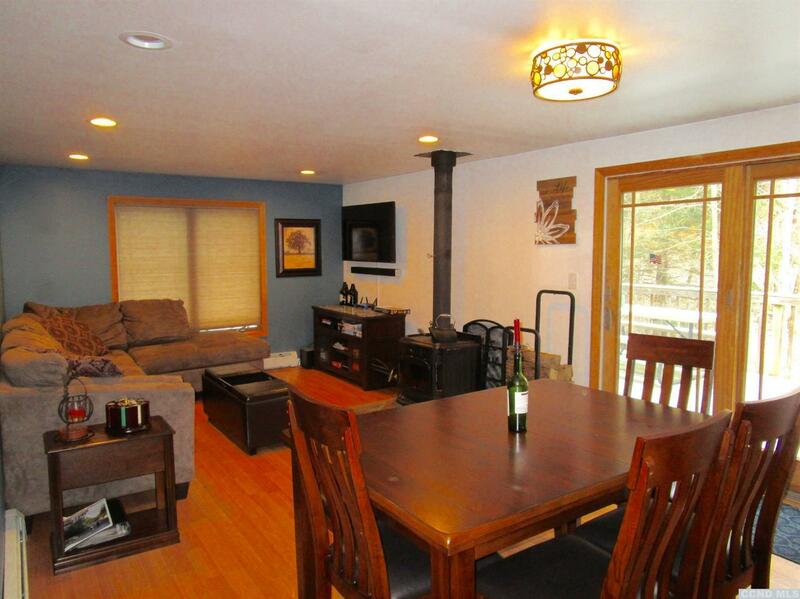 Charming cottage nestled in the woods adjacent to 90+ acres of DEP protected land. Sit on the back deck or by the fire pit, take in the pretty stone walls and enjoy the sounds of the mountain stream running along the edge of the property. Many recent upgrades including new heating system and tankless hot water heater, new well tank, LED lighting, new paint and carpets and more! Easy flow through the open floor plan, two first floor bedrooms and a cozy loft upstairs. Move right in and relax by the fire!